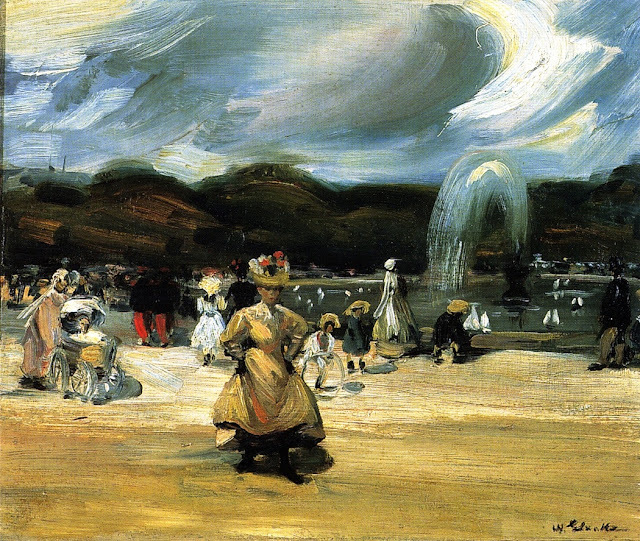 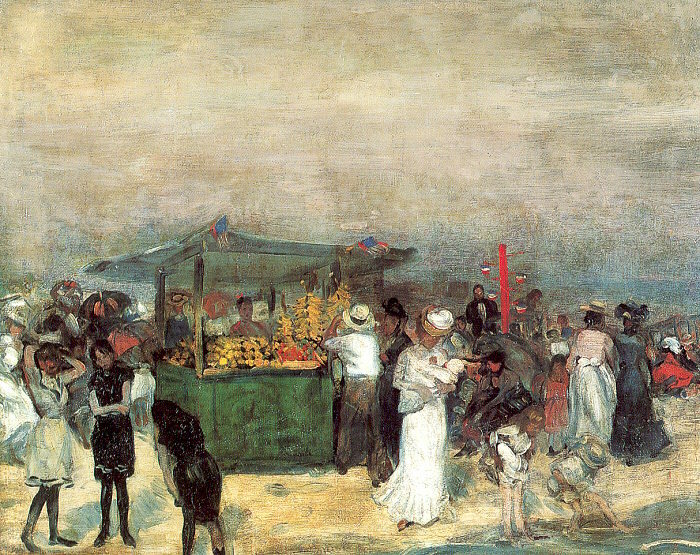 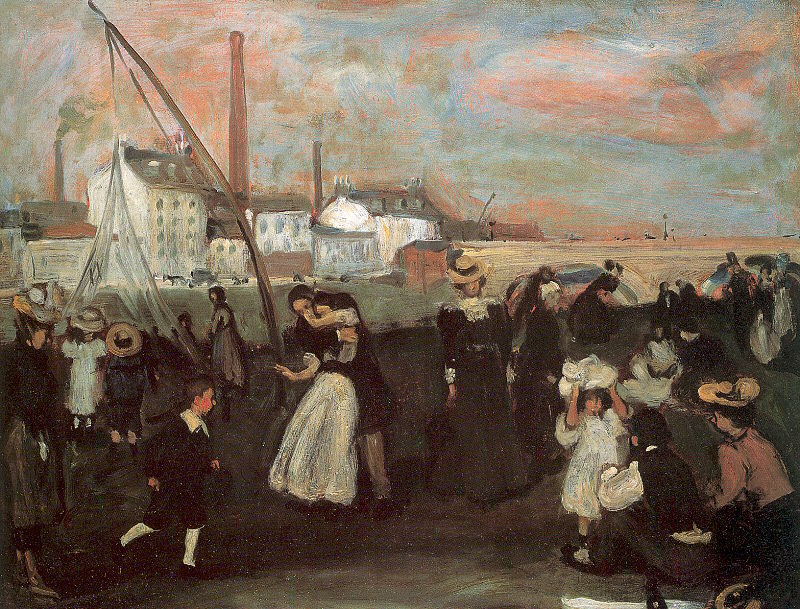 William Glackens (1870 – 1938) was born in Philadelphia in 1870. 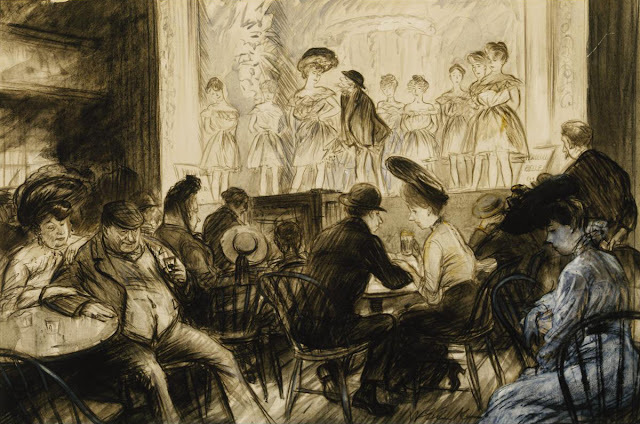 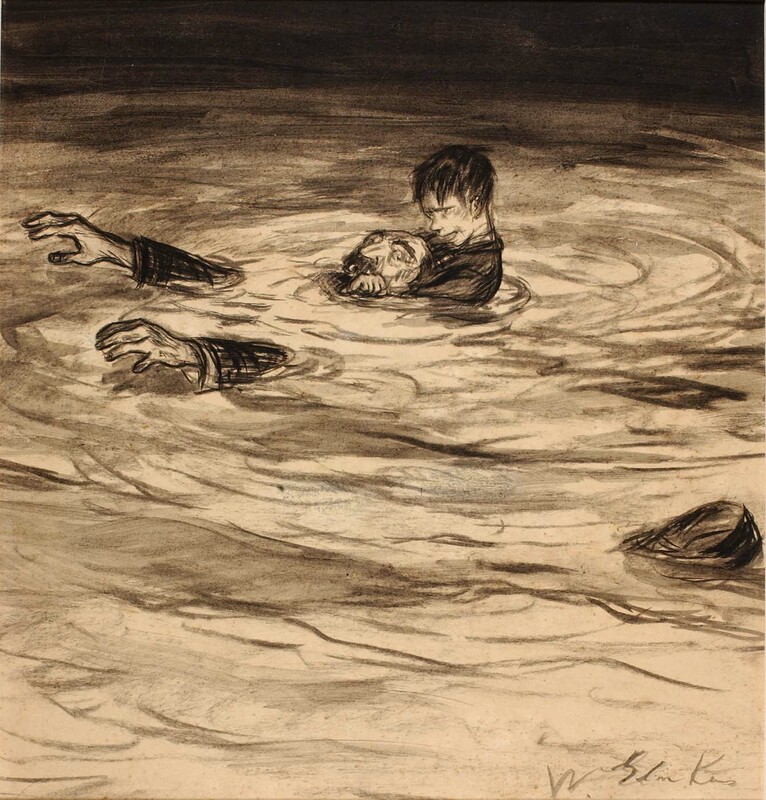 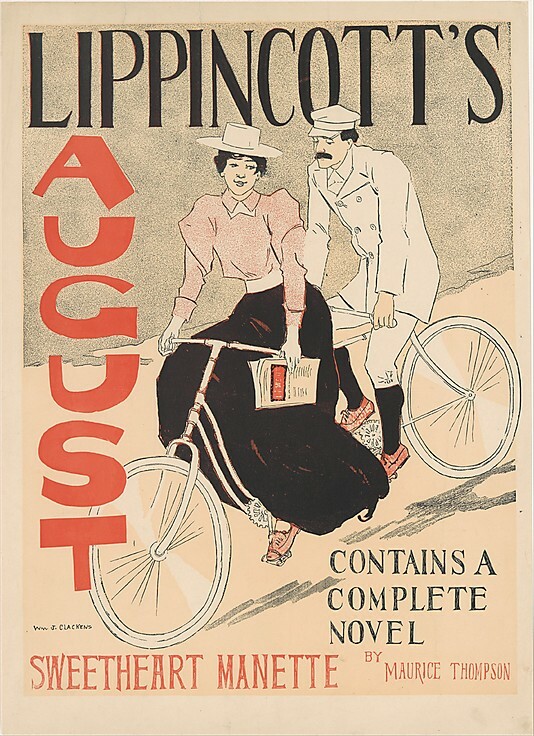 After he completed high school (where John Sloan and Albert C. Barnes were his classmates) he became an artist-reporter for Philadelphia newspapers. 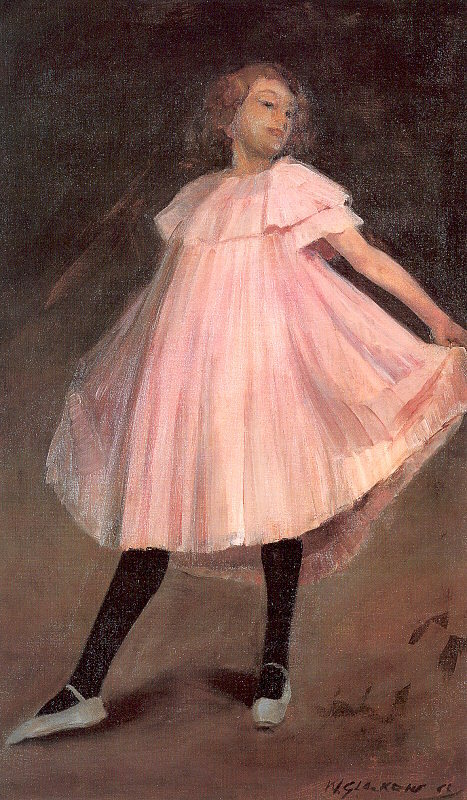 He attended night classes at the Pennsylvania Academy of Fine Arts, studying with Thomas Anshutz. 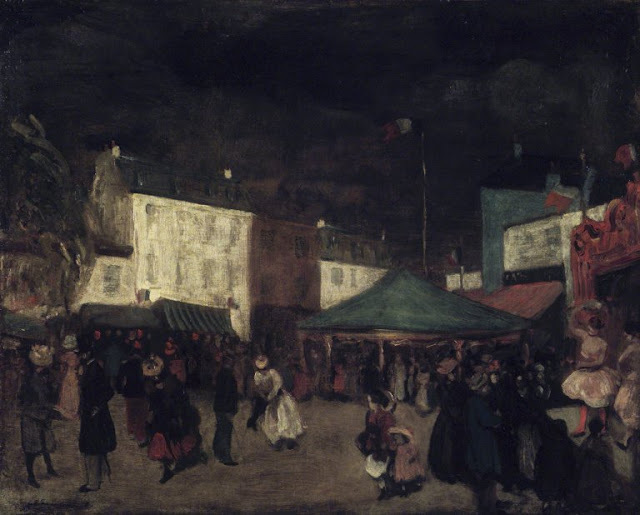 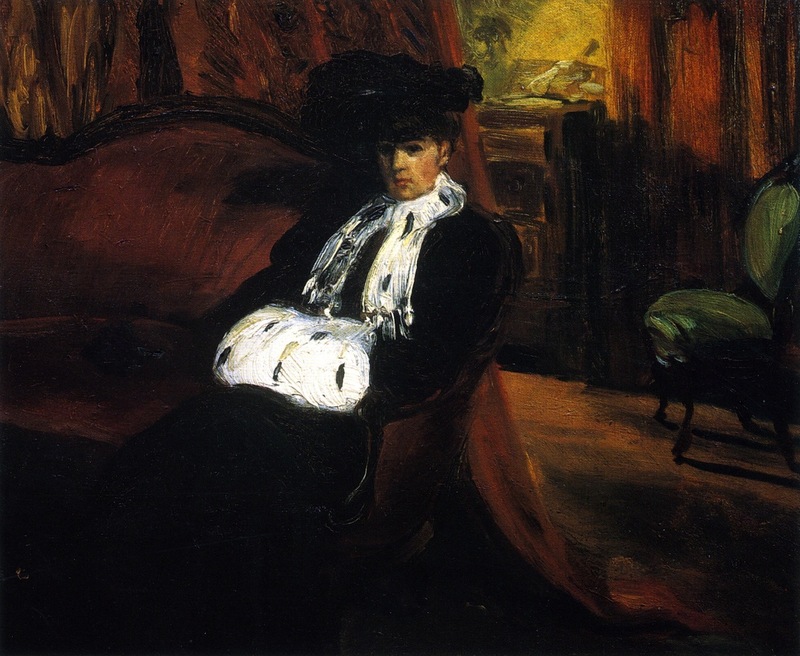 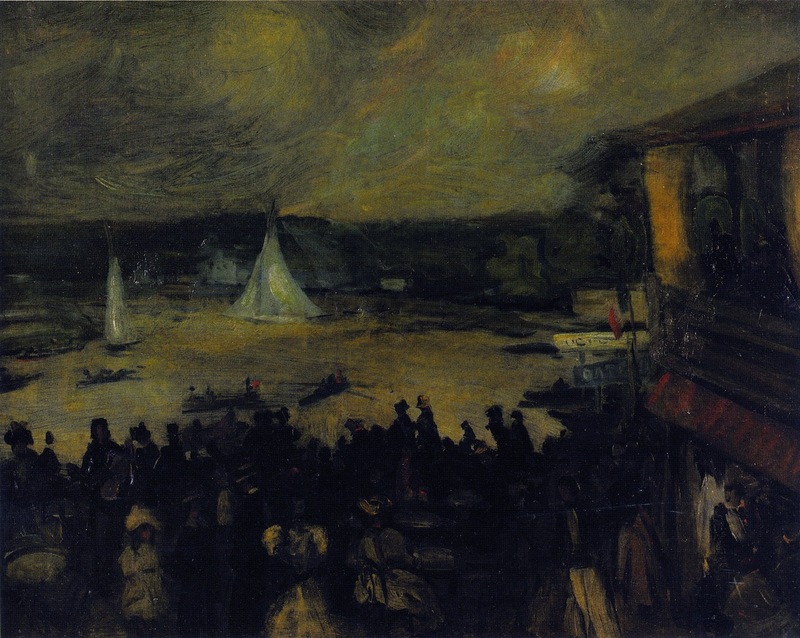 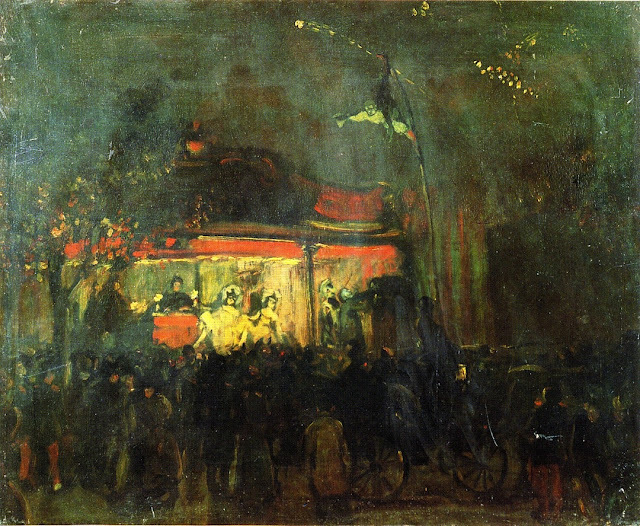 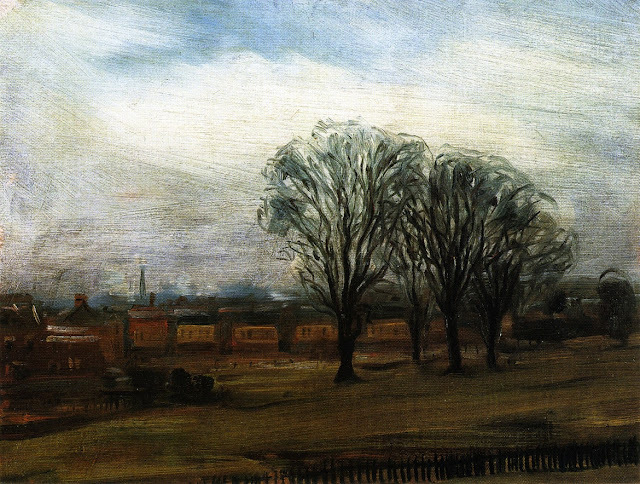 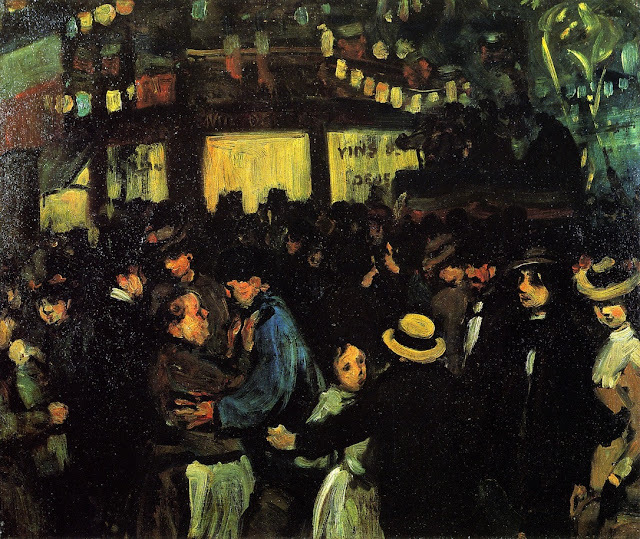 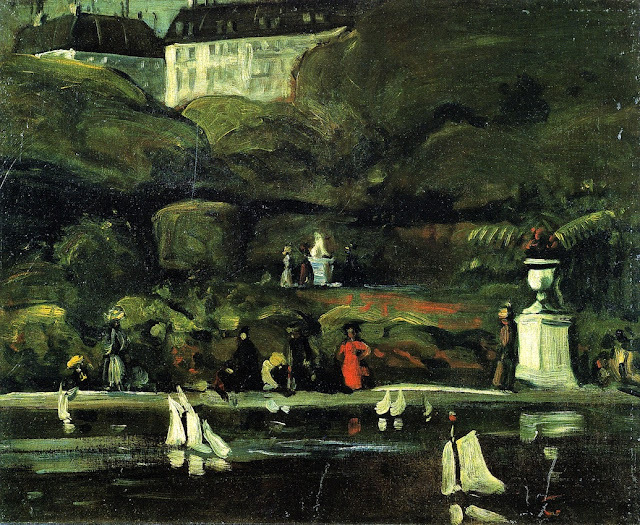 Glackens shared a studio with Robert Henri; in 1895 they worked their way to Europe on a cattle boat. 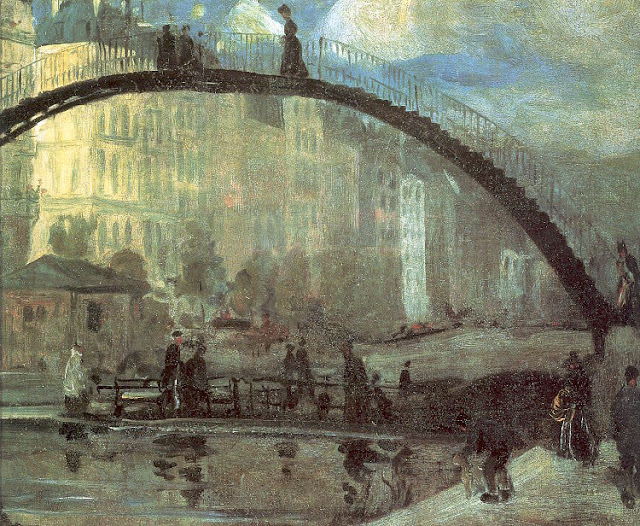 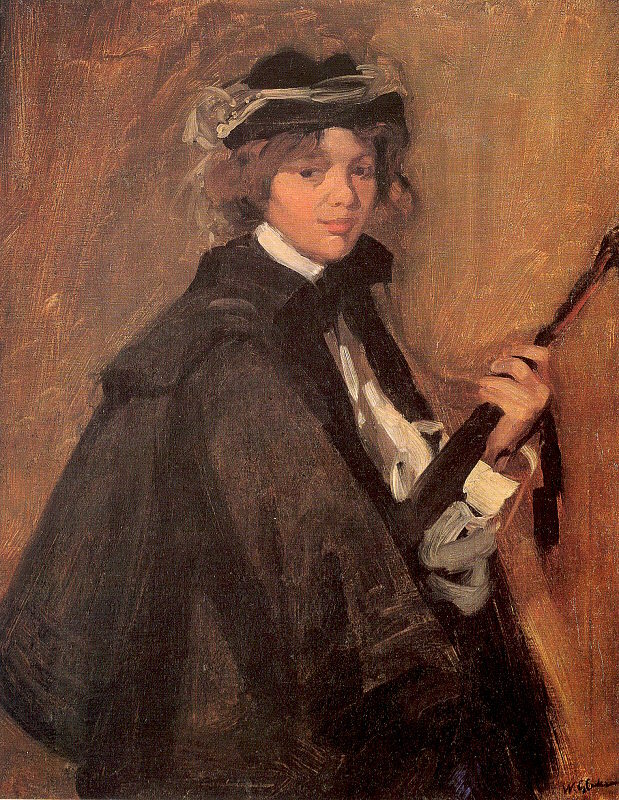 In Holland and Paris they studied the Dutch masters, Diego Velázquez, and Francisco Goya. 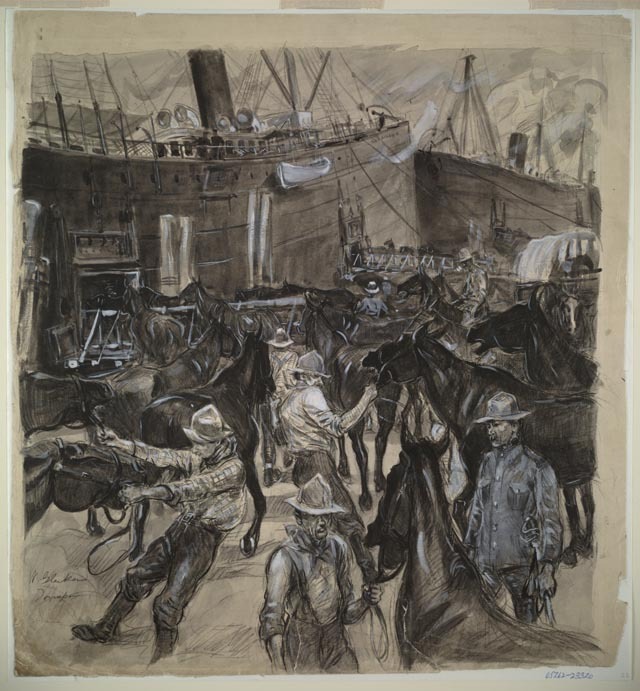 On his return to New York in 1896, Glackens worked for newspapers and commenced a long career as a magazine illustrator. 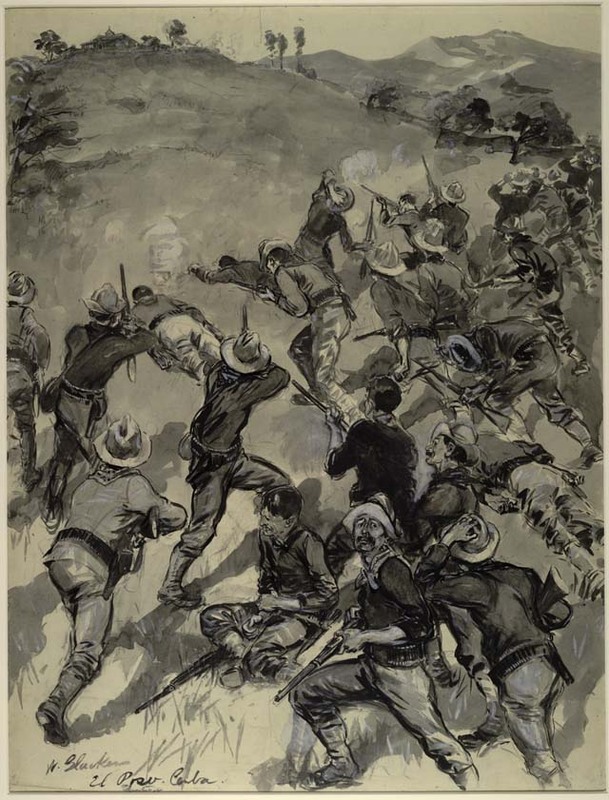 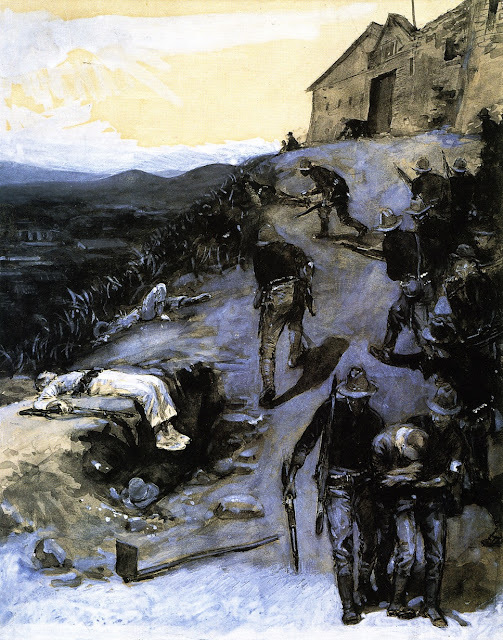 "McClure's Magazine" sent him to Cuba in 1898 to cover the Spanish-American War. 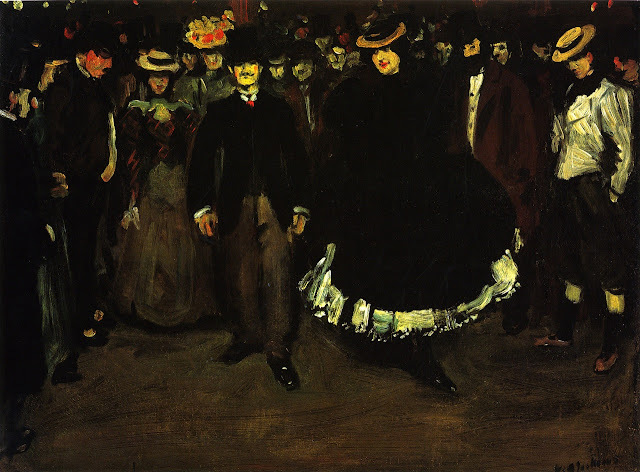 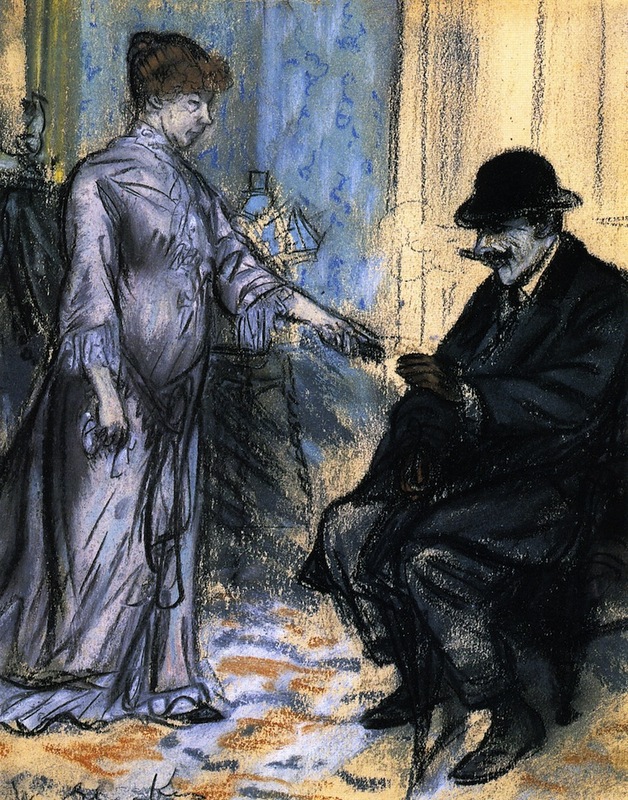 In 1904 Glackens married, and two years later he travelled in France and Spain. 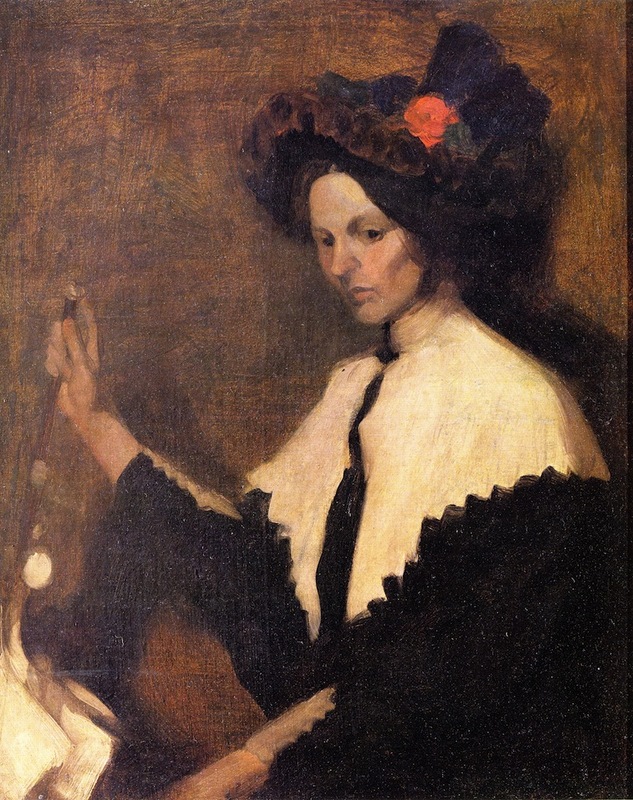 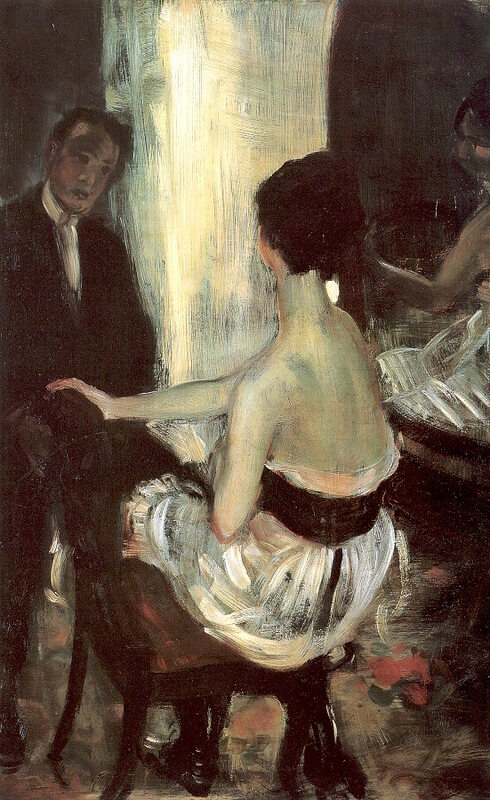 His work was rejected by the National Academy of Design in 1907. 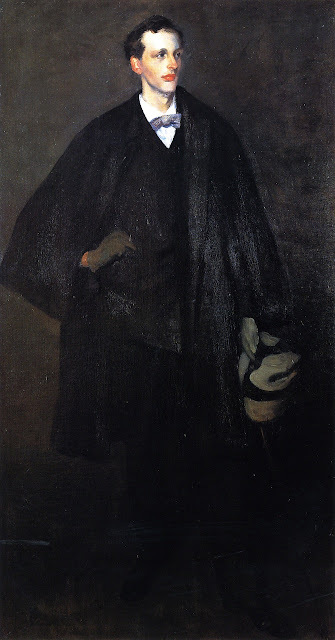 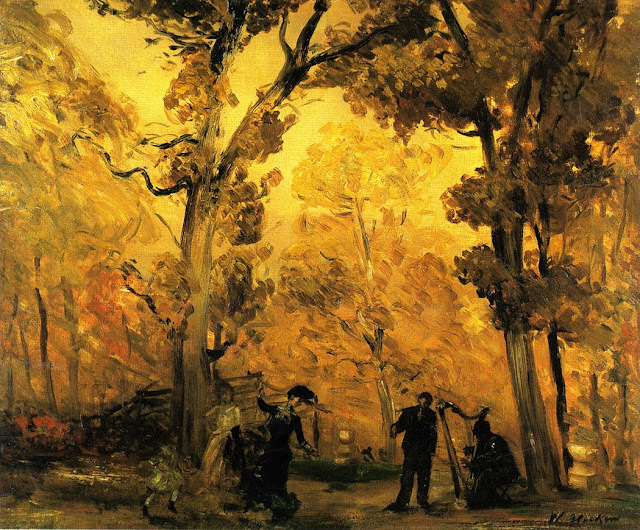 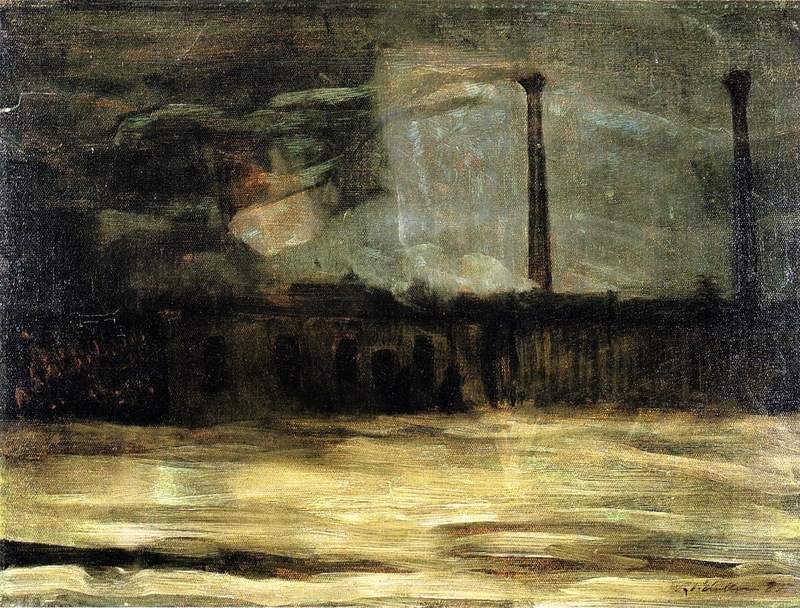 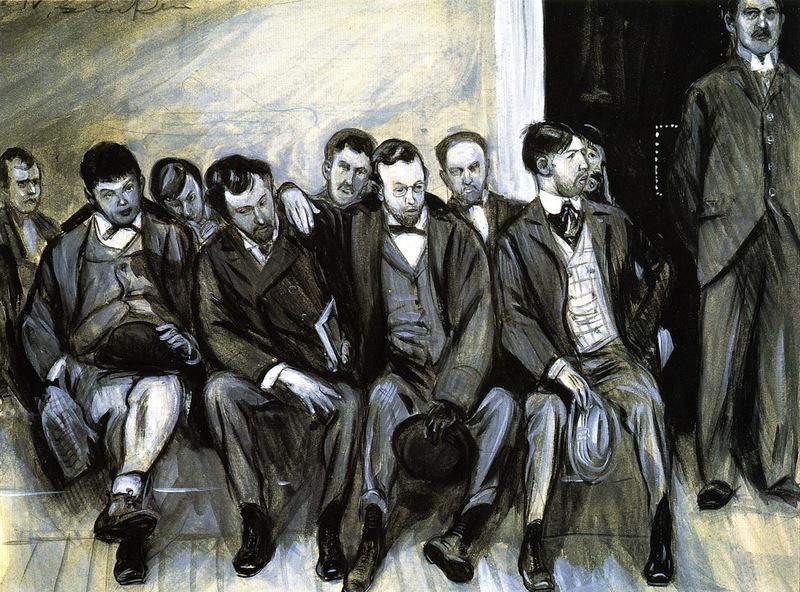 He was one of the group of painters called "The Eight" who exhibited at the Macbeth Gallery in 1908. 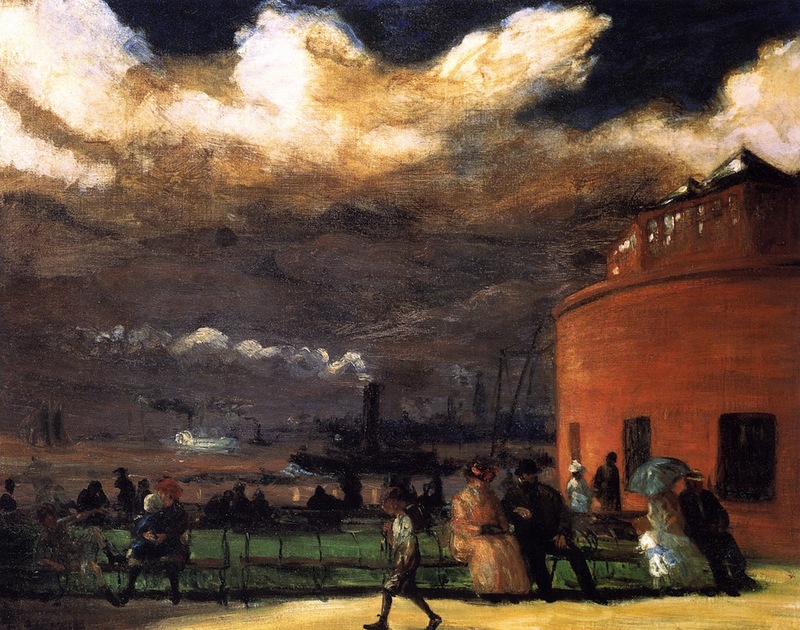 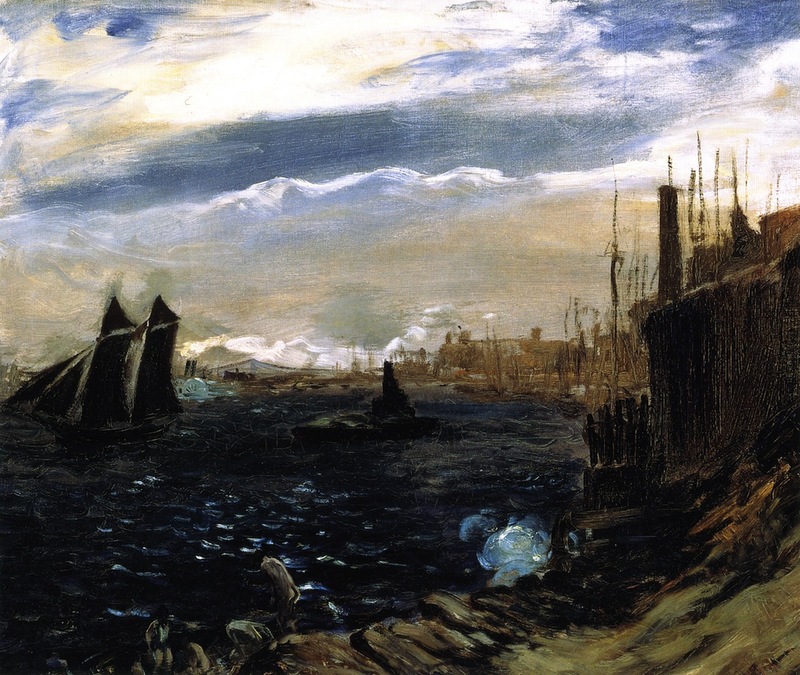 This show marked the end of the ascendancy of academic painting in the United States. 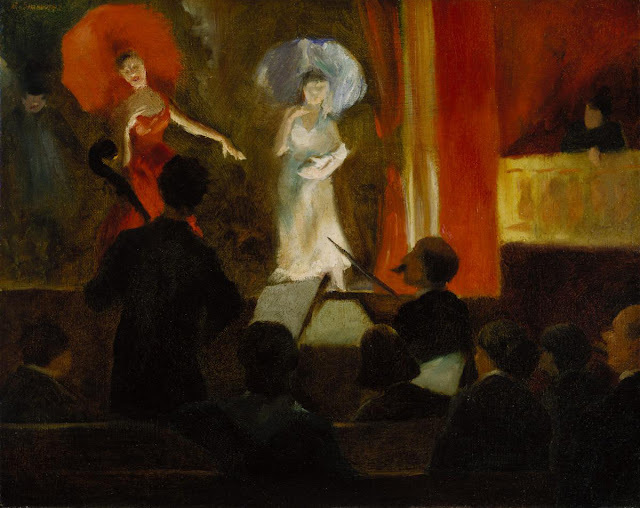 Some of the painters in this group specialized in realistic social comment; Glackens remained fundamentally a romantic, his work reflecting a healthy and joyous view of life. Glackens was influential in helping Albert C. Barnes form his great collection of modern art; the two travelled to Europe in 1912, returning with canvases by Édouard Manet, Edgar Degas, Paul Cézanne, Paul Gauguin, Vincent Van Gogh, Henri Matisse, and Renoir. 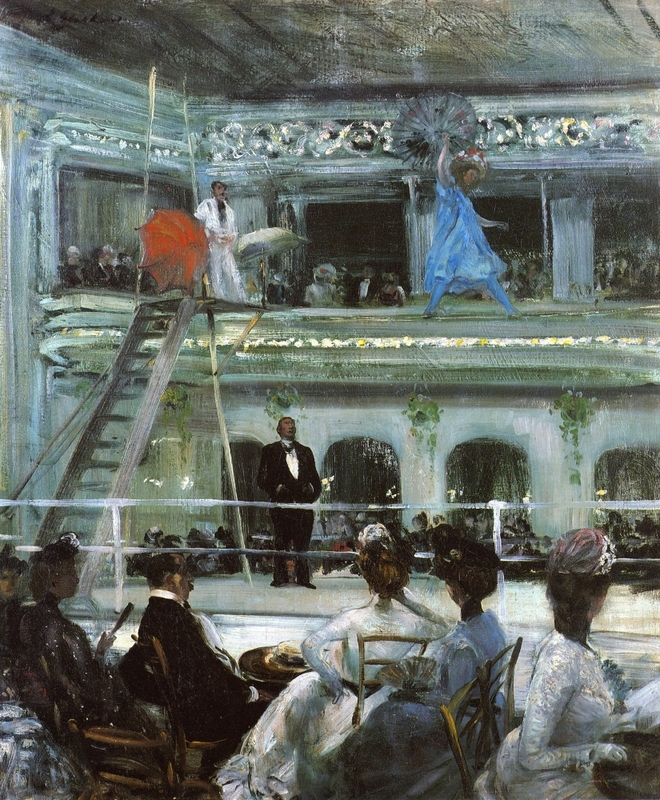 Glackens was one of the organizers of the famous Armory Show of 1913, and he served as chairman of the committee that selected the American entries. Three of his own paintings were shown. 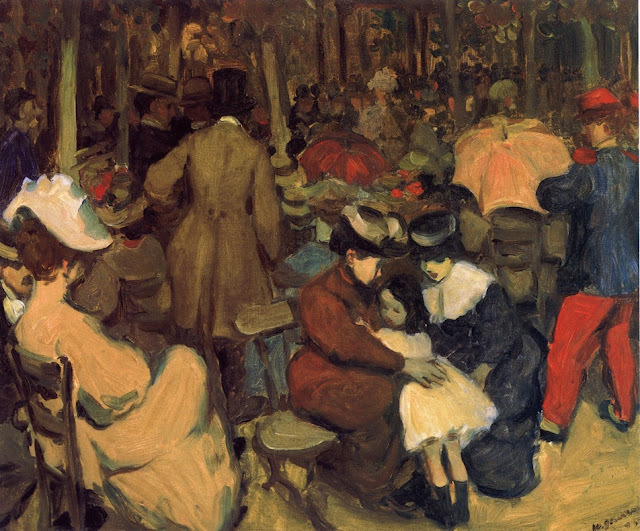 He was one of the organisers of the Society of Independent Artists in 1916, which presented exhibitions without juries or prizes. 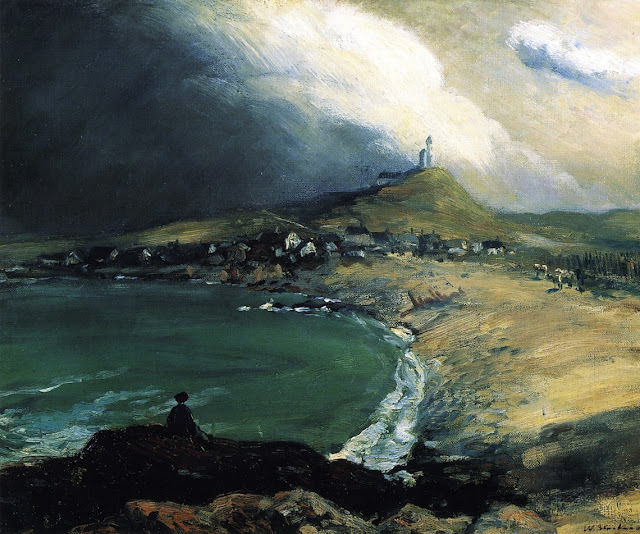 Throughout the 1920s and 1930s Glackens's work received wide recognition. 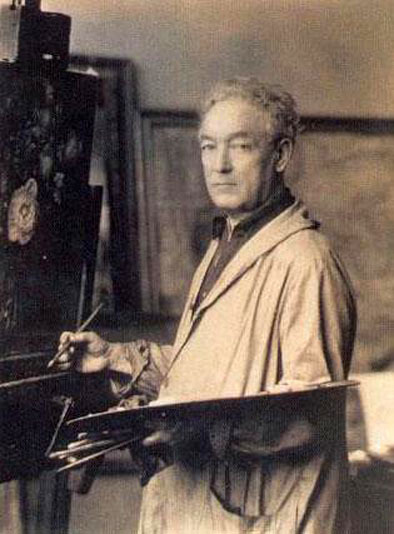 The late paintings include imposing nudes, flower pieces, and portraits of members of his family. 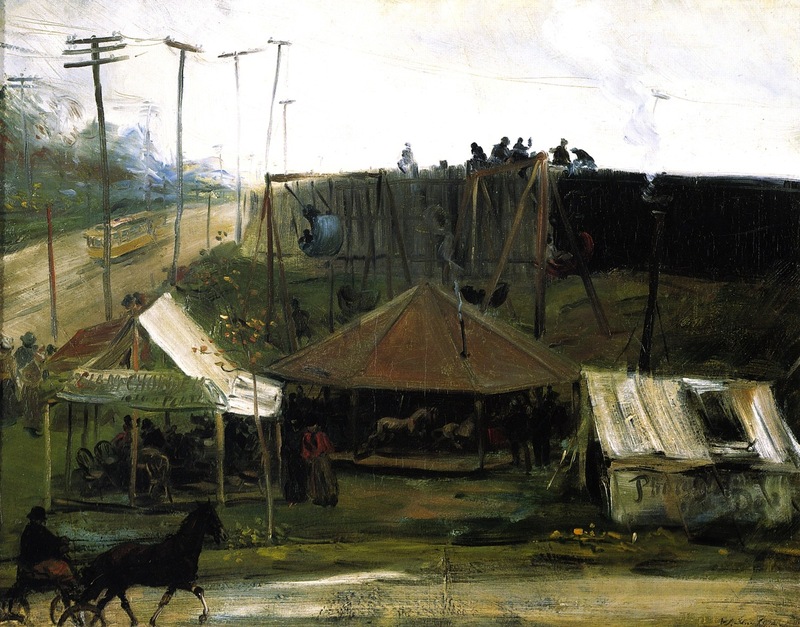 Basically impressionistic but with a strong sense of structure, these paintings combine sumptuous color, spontaneity of handling, and an increasingly architectural sense of compositional organization in a decidedly contemporary manner. 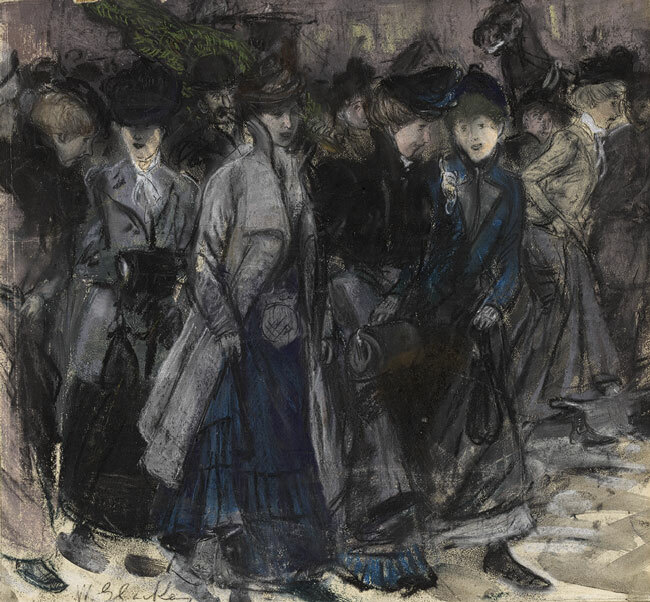 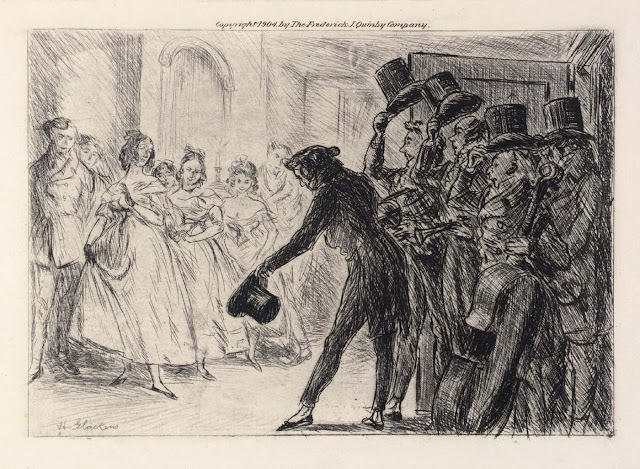 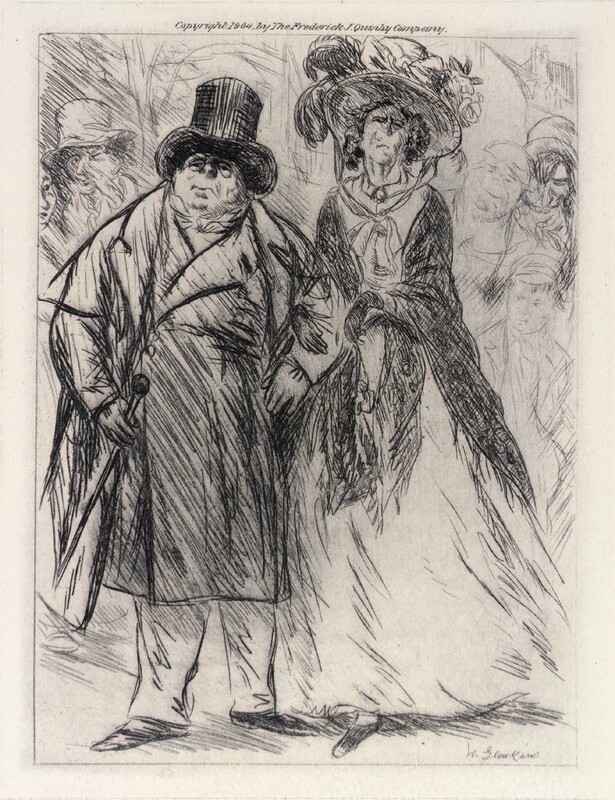 His illustrations, particularly those involving animated crowds of people, exhibit brilliant and expressive draftsmanship, as do a smaller series of etchings of urban subjects. 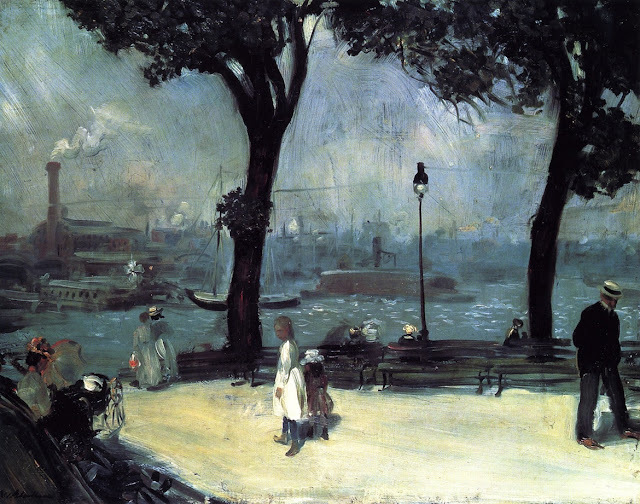 Glackens died suddenly in May 1938.